← Have a Coke and a Smile……. 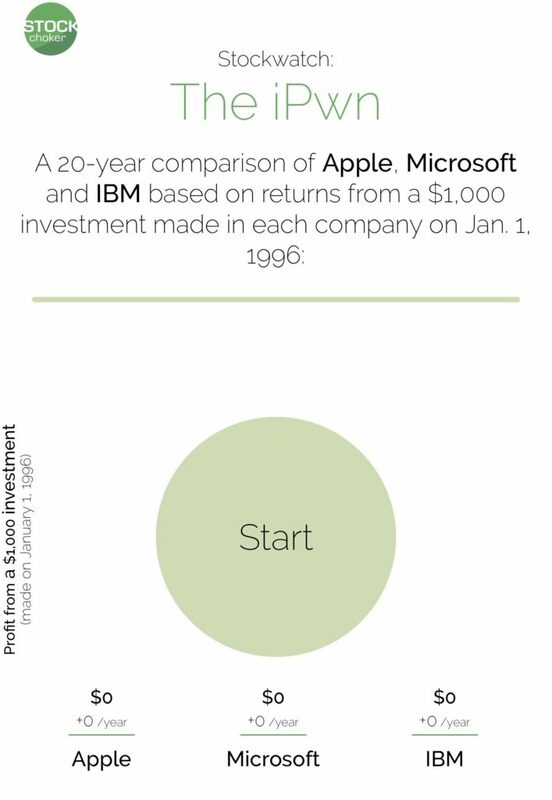 It’s another fun tool that visualizes what happens to a $1,000 if invested over the 10 year time frame. StockWatch was created by the same guy who created StockChocker. As time and the animation progresses, fun facts are added underneath. Sometimes during the course of a day or week, I still get caught up on what is happening to a stock now. Watching these play out makes me to remember to think long term. This particular StockWatch reaffirms my Dividend Aristocrat investing approach. Microsoft had an early lead but was over taken over due to a shift in technology and the iPod/iPhone. In The Future for Investors by Jeremy Siegel, he warns us to stay away from these shiny tech stocks. The main reason to stay away from the shiny, tech stocks is the fact that they can be replaced fairly quickly by shifts in technology. It’s much harder for a consumer staple company with a strong brand like Coca-Cola or Marlboro to be replaced quickly. Also, in sub par or flat rate or return years, at least you are getting dividend income. And if you are reinvesting that dividend income when a stock is not returning well, you are buying more of the stock with dividend reinvestment since it is cheaper. 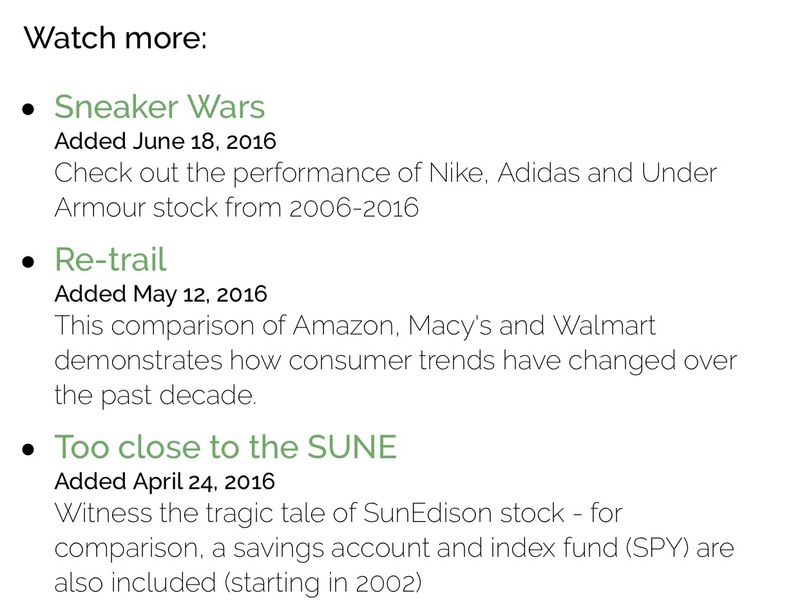 Be sure to check out some of the other StockWatches. They are fun too. Great post. I’ve enjoyed reading these over the past several weeks.